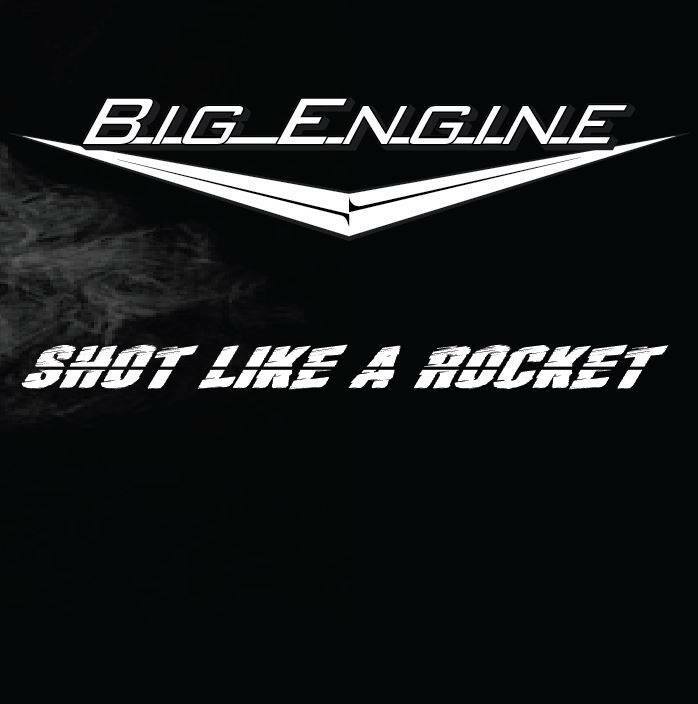 Jacksonville, Florida-based rock band Big Engine will release its debut record for Pavement Entertainment August 19th. The album, Shot Like a Rocket, is an album that provided it gets coverage from radio programmers, will be rather aptly titled. The fourteen songs that make up this record are a good fit for anyone that is a fan of classic rock from the late 80s and early 90s. Right from the album’s opener ‘Party Like a Rock Star,’ the band will instantly grab audiences with its straight forward, driving sound and equally no nonsense lyrics. The equally rocking ‘Burn It Down’ will have listeners singing and clapping along just as much whether in their living rooms, cars or at the band’s live shows. For all of the energy exuded by Shot Like a Rocket, it also has its more subdued moments. One of the most interesting of those tracks is titled ‘Not Your Fool.’ This track is quite the interesting piece considering the juxtaposition of its searing lyrical content against its more subdued musical side. These songs and the remaining nine not noted here come together to make Shot Like a Rocket a musical ride that any rock and roll purist will enjoy with every listen. The members of Big Engine give quite the first impression on its Pavement Entertainment debut. ‘Party Like a Rock Star’ is an infectious, full on rock and roll anthem that will be a favorite among audiences whether they’re listening to it in their car or home or singing along with the band’s legions of fans at one of its live shows. The band’s founding members—Tony Mikus and Hans Oellerich—sing about the rock and roll lifestyle here, singing, “I’ve been waiting/For the weekend/To chase these blues away/I’m gonna set my soul in motion/Forget all about these bills I’ve gotta pay/I’m gonna call upon my good friends/Say meet me downtown/No matter where I’m going/It’s time to shake it up/It’s time to get down/I’m gonna sing along/To every song/All night long/Dance on the bar/And play our guitar/And party like a rock star.” This theme of just letting loose after the rigors of the work week is one to which so many people can relate. And who hasn’t wanted to just go all out like that, singing their favorite songs, playing their air guitar? The ability of the band to reach its audiences here both lyrically and musically leaves no doubt that this was the perfect choice for the band’s very first introduction. ‘Party Like a Rock Star’ was a no-brainer for a first impression from Big Engine for its new album. It’s only one of the songs from this record that serves as a solid example of what audiences can expect overall. Another good example of what audiences can expect from this record comes late in the record in the form of ‘Burn it Down.’ This piece has much the same energy as ‘Party Like a Rock Star’ and much the same theme of just letting loose. Mikus and Oellerich sing in this piece, “It’s too late to turn around/Gotta keep my head above ground/Gonna get crazy tonight/No sleep/Runnin’ on adrenaline/I can’t stop/No, I won’t give in/Rockin’ is our policy/And I don’t give apologies/Yeah, we’re gonna party tonight/Well we get a little crazy/And we raise a little hell/then we leave this town/With a story to tell/Gonna raise our mugs/yeah, yeah/We’re gonna drink ‘em down/yeah, yeah/We’re gonna fire it up/We’re gonna burn it down.” This classic lyrical rock and roll theme goes on throughout the remainder of the song. And again, the imagery is classic rock and roll in every way. It would be so easy to see a video companion to this song, with footage of the band out in random bars, playing on stage to huge crowds, etc. Not only that, but it’s just as easy to see this song being as anthemic as ‘Party Like a Rock Star.’ It’s one more of so many songs on this record that any rock and roll purist will enjoy on this record. Both ‘Party Like a Rock Star’ and ‘Burn It Down’ are good examples of just how much Shot Like a Rocket has to offer audiences. There is one more example of how much this record has to offer audiences in ‘Not Your Fool.’ The song centers on a bad breakup. But the juxtaposition of its lyrics against its musical side is really what makes it stand out. Most songs that are centered on breakups generally have a relatively emotional musical backing. This song is no different in that arena. However, listening to the song’s lyrical side, one can’t help but wonder why the band didn’t option for something more up-tempo, musically speaking, in order to match the song’s searing lyrics. Mikus and Oellerich sing in this song, “You’ll find somebody new/With sympathetic ears/And arms open wide/Yeah someone new to use/Say what they wanna hear/Tear them up inside/And there’s so much I could say/And we could scream and shout/You know I could go on and on but/I’m not your fool anymore/I’ve been there too many times/To pick you up and say/It’s alright this time.” There’s a certain sarcasm and cynicism about these lyrics. And that vibe makes one feel like the song’s musical side should have more power about it. Ironically enough, the more subdued sound that takes its place actually makes it just as impactful. That’s because it creates more of a sense of someone being completely fed up with a certain situation. The end result is a song that has just as much power as any standard breakup song if not more power. That power shows why this song is one more prime example of what makes Shot Like a Rocket an album that any rock and roll purist will enjoy. Big Engine will release its new album Tuesday, August 19th. In celebration, it already has a handful of live shows scheduled for August. The first of those dates is a two-night stand at The Legendary Boot Hill Saloon in Daytona Beach, FL on August 22nd and 23rd. The band will be in Homosassa, Florida on August 24th and Sanford, Florida on August 31st. Audiences can keep track of Big Engine’s tour schedule and all of its latest news online now via its official website, Facebook page, Twitter page, and Reverb Nation page. To keep up with the latest sports and entertainment reviews and news, go online to the Phil’s Picks Facebook page and “Like” it. Fans can always keep up with the latest sports and entertainment reviews and news in the Phil’s Picks blog. Zakk Wylde and his Black Label brethren released early this year what is without a doubt one of the year’s most thought provoking albums. Musically speaking, the album is classic Black Label Society from start to finish. Lyrically, it proves to be a work that will most definitely have listeners paying close attention. Those that have already picked up the album’s deluxe edition will understand why. Throughout most of the course of the album, listeners are presented with songs centered on some rather deep themes. By the time the album reaches its end in ‘The Nomad’ however, those themes have turned to a more positive light. And it all starts with the album’s opener, ‘Fields of Unforgiveness.’ With its mix of heavy guitars and equally heavy lyrics, it makes for quite the opener to the record. Things eventually take a sharp turn with the equally hard rocking yet rather angry song ‘Damn The Flood’, which seems to see Wylde writing about all the people out there that would try to spit lies as easily as a snake spitting its venom. By the album’s ultimate end though, the outcome is more positive, with Wylde singing about moving on with life wherever it may lead. Whether all of these songs came from a personal place or simply as a concept idea, they combine with the album’s musical side to make what is one of the most powerful records that Wylde and his band mates have written to date. Catacombs of the Black Vatican opens on a powerful note in the form of ‘Fields of Unforgiveness.’ This first impression from the band is what leads one to wonder if this album is indeed a concept album of sorts or if it came from personal experience. Wylde sings in this piece, “So you think that it’s over/So you think that it’s done/The fields of unforgiveness never die/They’ve just begun/You thought you’d elude life’s sorrow/emptiness and grief/The oceans of life’s contempt/Drown the liars and the thieves.” That one line concerning liars and thieves is the center point of this song. It almost comes across as addressing someone that has done something really bad. The person in question thinks that he (?) has gotten away with said deed. But as the chorus notes, it’s never over. “The fields of unforgiveness never die.” Such a searing indictment set against an equally hard rocking musical backing makes this song one heck of a first impression from the members of Black Label Society on its latest record. As hard hitting as ‘Fields of Unforgiveness’ proves to be with its mix of Wylde’s trademark shredding and equally searing lyrics, it isn’t the album’s only heavy piece. Just as heavy and hard hitting is ‘Damn The Flood.’ With its equally driving sludge rock sound and its indictment of the proverbial snakes out there, this song stands out as one of the album’s most powerful moments. Wylde sings against the song’s solid, southern sludge sound, “This flood of snakes/The breeding lies/Existence of unjust/Spewing falsehoods as they crawl/Assassins of one’s trust…Poisoned blood manipulates/The bending of one’s will/Assassins of your sacred words/For trust it shall be killed.” These verses could be applied to so many situations. It could be applied to this nation’s political leaders. It could apply to an everyday basis in terms of those that call themselves friends, only to kill others’ trust once those backs are turned. As pessimistic as the song sounds, it’s actually positive as listeners will note in the song’s chorus. Wylde sings in the song’s chorus of dealing with those people and their evil ways. Yet again, it proves in the end to be one of the album’s best moments with that combination of musical and lyrical heaviness. It shows once more Wylde’s long ago argument that a song can be heavy without being heavy. 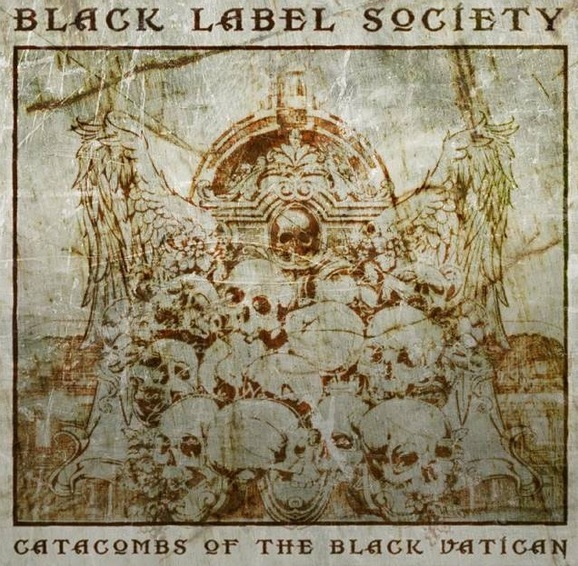 Through all of the lyrical and musical heaviness that makes up Catacombs of the Black Vatican, those that have the album’s deluxe edition will note that these is a message that through all of the negativity in the world, one can persevere through it all. He sings in ‘The Nomad’ of facing one’s past but moving on at the same time. As audiences will hear, he sings, “I’ve left the past behind/So much more to see/Like a feather to the wind/Wherever it may lead/Wherever it may lead/Where I’ll never know/For I can’t be tied down/I can hear it call.” He is singing about accepting the past and knowing it’s there, but not letting it weigh down an individual on one’s journey in life. Wylde and company exhibit such talent musically in this song. It isn’t the driving, hard rocker that the previously noted songs prove to be. It is more controlled. That more controlled nature makes this song a fitting end to an album that boasts just as much heaviness in its finale as in its beginning. That solid heaviness from start to finish both musically and lyrically prove why Catacombs of the Black Vatican is one of this year’s top two new hard rock and metal albums of 2014. Catacombs of the Black Vatican is available now in stores and online. It can be downloaded via iTunes here. It can also be purchased at any BLS live show including tonight’s show at the Vogue Theatre in Indianapolis, IN. The band’s current tour schedule and all of the latest news from the band are available online at http://www.facebook.com/blacklabelsociety and http://www.blacklabelsociety.com. To keep up with the latest sports and entertainment reviews and news, go online to http://www.facebook.com/philspicks and “Like” it. Fans can always keep up with the latest sports and entertainment reviews and news in the Phil’s Picks blog at https://philspicks.wordpress.com. 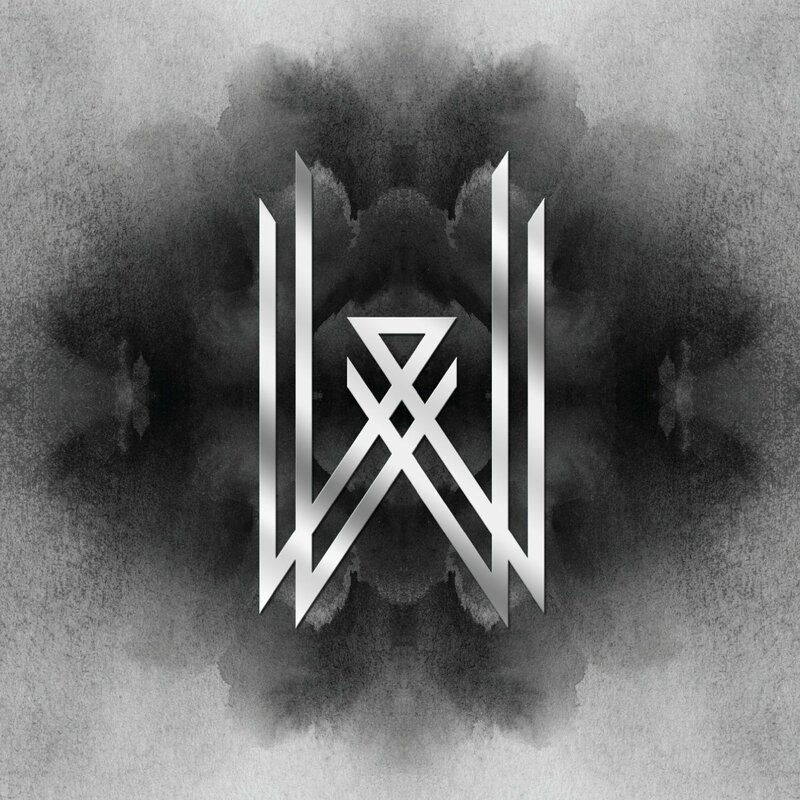 Wovenwar premiered its new single Monday. Wovenwar premiered its new single, ‘Profane’ yesterday on the official website of Revolver Magazine. Audiences can stream the video now through the magazine’s now at http://www.revolvermag.com/news/wovenwar-premiere-new-song-profane.html. The single comes from the band’s upcoming self-titled debut record. The album will be released worldwide via Metal Blade Records next Tuesday, August 5th. After checking out the band’s new single, fans can also leave their thoughts on the song in the “comments” section of the site. Fans can also check out two other songs from Wovenwar’s upcoming album—‘All Rise’ and ‘The Mason’—and four In Studio videos filmed by the band through the band’s Metal Blade Records website, http://www.metalblade.com/wovenwar. Fans will get to hear the album in its entirety this Friday, August 1st when the album stream goes live ahead of its release in store and online. Wovenwar is currently touring in support of its upcoming album alongside Black Label Society. That tour wraps next Monday, August 4th. After that, the band will take a couple of days off before playing a trio of album release shows August 7th and 8th. The third show will be at Phil Sgrosso’s new club, Brick By Brick. Fans that come out to that show will have the chance to hang out with the band, celebrate the album’s release, and even have the chance to win prizes provided by Wovenwar, Metal Blade Records, MotorCult, and Dirtbag Clothing. Fans that attend the band’s August 8th show at Soma can use those ticket stubs to get into the show at Brick By Brick for free. Others get in for five dollars. The Brick By Brick show is a 21+ show. The band will also perform Saturday, August 9th at the famed Roxy in Los Angeles, CA. The full schedule of performances is listed below. 08/08 – San Diego, CA: Brick By Brick – **Wovenwar Album Release Party** Tickets — Here. If fans aren’t able to make it to any of the shows noted above, they can still catch the band live at the famed restaurant Grill ‘Em All in Alhamba, CA. Details on that upcoming show will come soon. Fans will also get plenty of chances to see the band live as it tours in support of its debut album. It is currently wrapping up the North American leg of its tour. It will be in Indianapolis, IN tomorrow. That date will be followed with performances in Texas and new Mexico. It all wraps with the band’s upcoming shows in California. After that, the band will take some time to rest before kicking off the European leg of its tour on August 15th at the Pukkelpop Festival in Hasselt, Germany. All of the latest tour updates, news and more from Wovenwar is always available online at http://www.wovenwar.com, http://www.facebook.com/wovenwar and http://twitter.com/WOVENWAR. To keep up with the latest sports and entertainment news and reviews, go online to http://www.facebook.com/philspicks and “Like” it. Fans can always keep up with the latest sports and entertainment news and reviews in the Phil’s Picks blog at https://philspicks.wordpress.com. 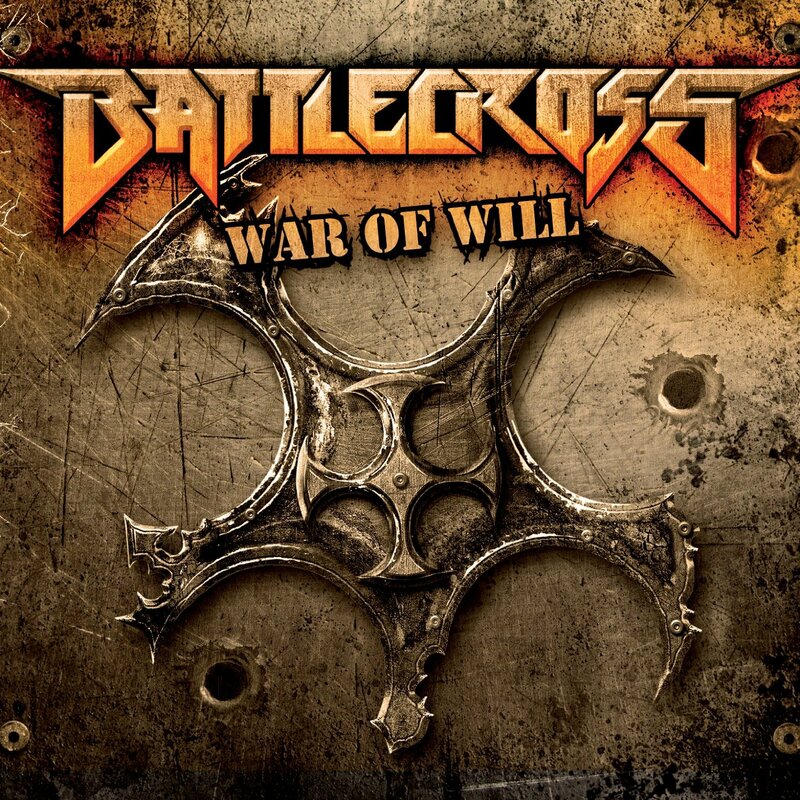 The members of Battlecross announced Monday that the band will embark on a North American tour this fall in support of its latest album War of Will. The schedule for Battlecross’ upcoming tour with Machine Head, Children of Bodom, and Epica is listed below. All of the latest news and tour updates from Battlecross is available online at http://battlecrossmetal.com, http://www.facebook.com/battlecrossmetal, and http://twitter.com/battlecross. To keep up with the latest sports and entertainment news and reviews, go online to http://www.facebook.com/philspicks and “Like” it. Fans can always keep up with the latest sports and entertainment reviews and news in the Phil’s Picks blog at https://philspicks.wordpress.com. Judas Priest’s new album Redeemer of Souls is one of the top new hard rock and metal albums of 2014. 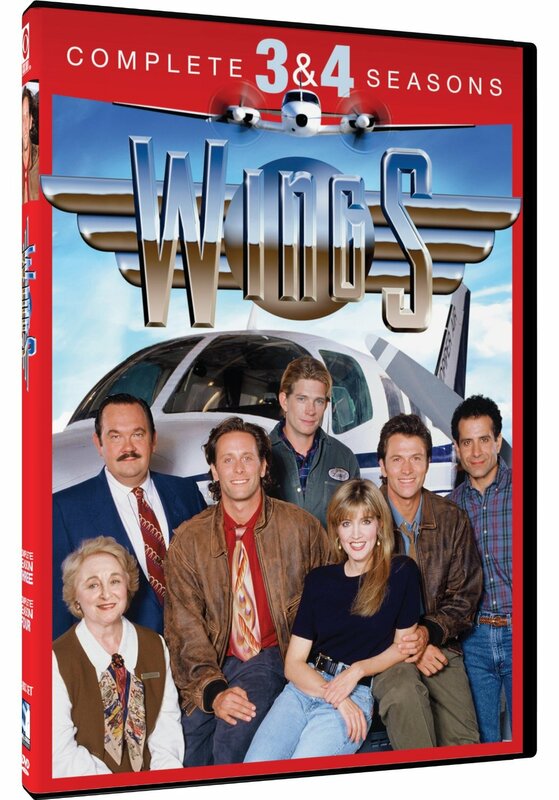 As a matter of fact, it is, in this critic’s eyes (and ears) a contender for the top spot on said list. The only other album that can even come close right now to vying for that spot is Black Label Society’s Catacombs of the Black Vatican. What makes Redeemer of Souls such a top notch album despite its slightly touchy production is its mix of music and lyrics. Musically, this album has been likened to previous hit Priest albums including: British Steel, Nostradamus, and Painkiller just to name a few. That it could be compared in such positive light to so many other of the band’s releases is a statement in and of itself. Lyrically, it covers some interesting themes throughout the course of its thirteen tracks and sixty-two minutes. One of those themes is of standing up for what one believes. That topic comes in the album’s fourth track ‘Sword of Damocles.’ Another interesting topic is that of the tribute paid to the fans of sorts in the album’s lead single ‘March of the Damned.’ Late in the album, front man Rob Halford and his band mates cover an interesting topic in ‘’Hell & Back.’ The topic in question is one of the band’s survival through the years. Or it would seem so at least. Regardless, its lyrics and music together make for one more prime example of why Redeemer of Souls is one of this year’s top two new hard rock and metal albums. That argument is made even stronger through the two songs noted before it and through those pieces not noted. Altogether, this album is proof that Judas Priest is still one of the most dominant forces in the world of hard rock today. Judas Priest has proven without a shadow of a doubt on its new album that it is still one of the most dominant forces in the world of hard rock today. It has done so through an album that is easily one of the year’s top new hard rock and metal albums in Redeemer of Souls. One example of why this album deserves such recognition comes early on in the album in the form of ‘Sword of Damocles.’ Musically, it is a full on, rocker that comes across as being about false leaders and standing up for one’s own beliefs. As audiences will hear, front man Rob Halford sings here, “When men lead by words that are false as they preach/Fatality waits in the wings/Surrounded by fools behind walls that are breached/Beware of the jester that sings.” Right there, audiences are led to infer that Halford and company are singing about said false leaders. And those leaders don’t necessarily have to include religious leaders, either. They can include political leaders, too. Halford and company go on to sing, “Stand tall/Rise up/Stay strong/Fighting your enemies/Truth will find its reward/If you live and die by the sword/The whispers can’t hide when the tongues are let loose.” Listeners might get from this verse a message of not giving up against certain insurmountable odds. They come across as telling audiences don’t just give in like sheep to the words of those false leaders and to stand up to said leaders and those that would harass an individual for having views other than their own. This could very well be the wrong interpretation. It is merely the interpretation of one single critic. If it is at least somewhere in the ballpark though, it once again serves as solid proof of why this record is one of the year’s top two new hard rock and metal albums. ‘Sword of Damocles’ is just one many examples of what makes Redeemer of Souls one of the top new hard rock and metal albums of 2014. With its mix of adrenaline-fueled music and thought provoking lyrics, this song is an instant hit. The album’s lead single, ‘March of the Damned,’ is just as solid a choice for a single. As guitarist Glenn Tipton explains, this song is simply about the fans that come to the band’s shows. There’s no deep, hidden message for the religious right wingers to hunt for. It is for all intents and purposes a tribute to those fans. Halford sings against the song’s driving guitars and drums, “Can’t stop us/They don’t know why/They try/Can’t hurt us/We’ll never die/We are on the march of the damned…We know what’s at stake/Won’t take your mistakes/Won’t break us/We’ll never fall/That’s all/It’s over/Just watch us crawl.” Referencing Tipton’s statement about the song again, these lyrics illustrate quite well exactly what he was saying. They come across as a collective statement from the band’s fans saying that they don’t care what anyone says. They are fans for life. It is easy to see why this anthem was chosen as the album’s lead single. It’s a powerful statement from an album that could be the last from one of metal’s most legendary bands. ‘March of the Damned’ is a powerful statement from the members of Judas Priest. It puts expertly into words the devotion of the band’s fans regardless of their fans’ ages. It’s especially fitting that there’s no telling whether or not this will be the band’s last album, especially considering that some years ago, Halford and his band mates said they were through touring. Yet once more the band has in fact hit the road in support of another album. Speaking of being on the road, ‘Hell & Back’ will have audiences wondering if perhaps this tour will be the band’s last. Halford ruminates on the band’s past here, singing, “Still in the land of the living/Rocking the home of the brave/Staying alive and still kicking/Ain’t got no need to be saved/Out of the fire and into the black/We’ve been through it all/We’ve been to hell and back.” The song’s musical side is not the high-powered, straight forward piece that the previously noted songs prove to be. But set against the song’s lyrics, one can clearly see the song’s chorus and verses play out clearly in one’s own mind. That clarity will again lead one to wonder about the band’s future after this album and tour. If it proves to be the last for the band on both counts, then this song will have proven to be one more powerful statement from the band. And along with each of the album’s other songs—both noted and not—it is one part of a whole that is easily one of the top two new hard rock and metal albums of the year. Judas Priest will kick off the U.S. leg of its tour in support of Redeemer of Souls this fall beginning Wednesday, October 1st in Rochester, NY. The band’s current tour schedule is listed online along with all of the latest news from the band at http://www.facebook.com/OfficialJudasPriest, http://twitter.com/judaspriest, and http://www.judaspriest.com. To keep up with the latest sports and entertainment reviews and news, go online to http://www.facebook.com/philspicks and “Like” it. Fans can always keep up with the latest sports and entertainment reviews and news in the Phil’s Picks blog at https://philspicks.wordpress.com. The Pop Ups’ latest album is such a joy for parents and children alike because of its ability to reach audiences of all ages. It reaches so many audiences thanks to a combination of music and lyrics that takes listeners back to the 1970s and 80s musically while celebrating the joys of childhood through various avenues. One of the best examples of that mix comes late in the album in the form of ‘Craft Night.’ The duo—Jason Rabinowitz and Jacob Stein—sing about the fun of creating a picture collage. They sing about sitting at a table, taking those old tubes of glue, and gluing pictures to sheets of construction paper. Anyone that ever did this as a kid will understand and appreciate this song just as much as any child today provided schools still teach children about making collages. The men sing, “Can you find some macaroni/Glitter too/Find some pink construction paper and some glue/And you’ll make some beautiful things on craft night/Beautiful things that’ll make the world delight.” They go on to sing about cutting out a heart and combining that with the glitter and macaroni to make a child’s own work of art. From there, the pair sings about finger painting and other crafts. Any parent that ever took part in such craft making as children will be taken back in time thanks to such vivid imagery. And any children that actually still take part in such activities in schools today—apparently there are children that focus more on computer-based learning than on arts and crafts—will relate to it just as much. The addition of an old school 1970s/80s sound will entertain parents just as much. The end result is a song that as already noted, is just one prime example of what makes ‘Craft Night’ one of so many examples of the joy offered on this record. ‘All These Shapes’ is another piece that is set against a 1980s era sound for all the grown-up children of the 80s out there. Stein and Rabinowitz sing in this song about all the possible things that could be drawn from the shapes. They sing, “What can you make with all these shapes/Little circle magnet on my fridge/Just like a baseball we could pitch/Round as an eye that you could wink/Or a head filled with a brain that thinks/Could be a planet or the moon/A floating helium balloon/Maybe a wheel to steer a car/Or the top of a big ol’ pickle jar.” Parents will appreciate how this song really encourages thinking and creativity. And they will also appreciate that in its own right, that emphasis on creativity makes the song itself creative. It’s just one more piece that shows the extent of creativity and originality that fills this record. There are nine other tracks that display that creativity and originality just as much as this song and those previously noted. Audiences will be able to hear those songs for themselves when Appetite for Construction is released next month. Appetite for Construction will be available in stores and online Tuesday, August 19th. 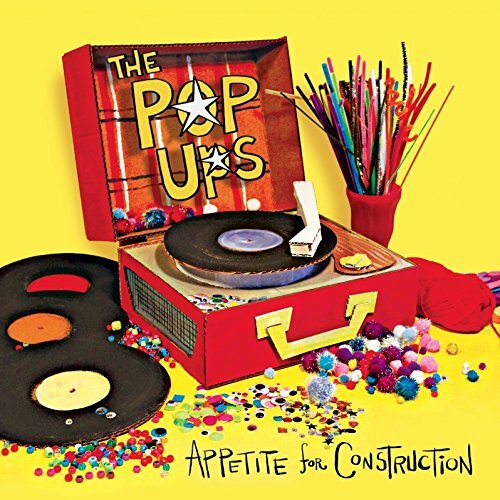 It can be downloaded online via iTunes at https://itunes.apple.com/us/album/appetite-for-construction/id899582693. The Pop Ups will hit the road in support of its new album beginning Wednesday, August 6th at 4pm ET at The Springfield Museum in Springfield, MA. From there, The Pop Ups will head to New York, New York for a performance at Riverside Park on August 7th. A complete listing of The Pop Ups’ current tour schedule is available online along with all of the latest news from the band at http://www.thepopups.com, http://www/facebook.com/thepopups, and http://twitter.com/thepopups. To keep up with the latest sports and entertainment reviews and news, go online to http://www.facebook.com/philspicks and “Like” it. Fans can always keep up with the latest sports and entertainment reviews and news in the Phil’s Picks blog at https://philspicks.wordpress.com.